Put a yogi in warrior one pose, turn that yogi sideways and upside down, and what do you get? : the letter Y. Or put another way, Why? That’s what many of us are asking today. It’s not the “why?” of exploration, but the “why?” of giving up. More like, “why bother?” It’s as if the will to fight has gone out of us. 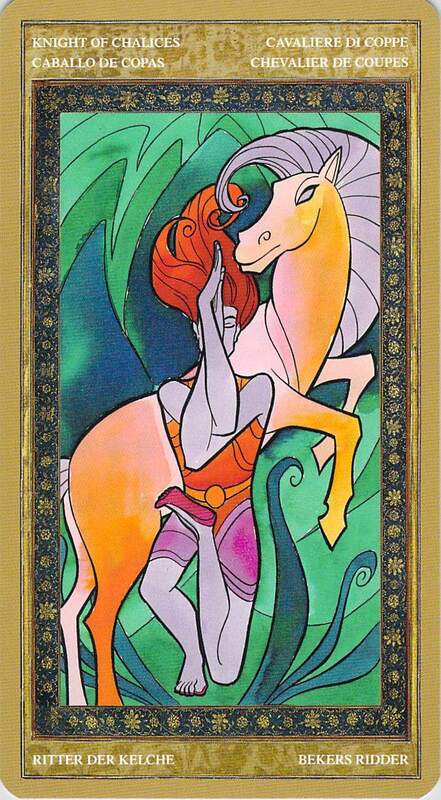 We have gotten off our horses, abandoning whatever power to move forward we have, in order to focus on trying somehow to nourish the heart chakra, or at least to rest it and let it recover. Though we live in a culture of “don’t give up,” I choose not to judge this choice, because there are times when it is appropriate, though, of course, there are also times when it’s just a big pity party. If you’re feeling this way today, then it’s for you, and you alone, to judge which type of giving up you are engaging in — the positive, sitting this round out in order to recover and to strengthen/nourish your heart kind, or the obstinate feeling sorry for yourself and waiting for everyone else to help pick up the pieces kind. Either way, what I can do is point out the dynamics of the situation and what’s happening here. First, voice is blocked. People who are depressed and giving up don’t feel like talking, even though everyone else usually thinks they need to. Communication isn’t working the way it should and depressed people instinctively know that no one else will really understand. 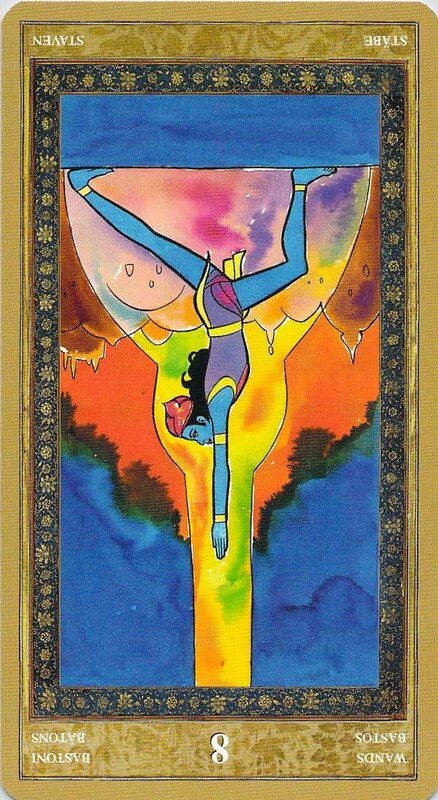 Moreover, it’s not that the throat chakra is blocked (my guess is that the throat chakra is actually fine), it’s that two chakra levels below, the will to ACT is blocked in the solar plexus. That will to act has to drive communication, because communication is a form of action. The throat chakra itself works exceptionally well, and you’ll often find that depressed people can pack vast amounts of information into small amounts of words, through the use of metaphor and sarcasm. 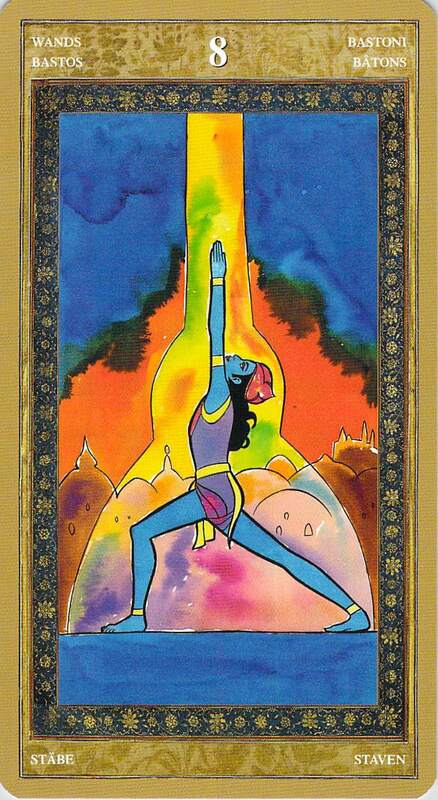 The throat chakra can become very sensitive and effective to compensate for the weak will to act that is driving it. Second, the power to move forward is there and it’s waiting. Do you see the horse waiting behind the Knight of Chalices? That horse represents the power to move forward, quickly. For depressed people, it’s only the will that is weak. The actual power to act (in the form of intelligence, resourcefulness, the ability to focus and concentrate) is strong and fierce, once it is activated by intention and will. But during the depression, that power has to wait, restlessly and anxiously. Third, the key to healing lies in the heart chakra. The Knight of Chalices is wise in stopping in his current location. He’s nurturing his heart chakra with the color of the heart chakra, green. He knows that his heart must heal for his intention to move forward to return. Why the heart chakra when I’ve talked above about the throat and solar plexus chakras? Well, the heart chakra is the bridge between the throat and the solar plexus. In addition, the loss of will in the solar plexus originally was caused by damage to the heart, its neighbor. This is why I don’t believe in judging depressed people for taking time out away from all the things that everyone else thinks they should be doing. When the heart chakra needs care, it is an immediate need, just as it would be an immediate, urgent need if the physical heart organ needed emergency care. You can’t move forward effectively when your heart is not in it. Like it or not, even when there are other urgent needs, if your heart needs care you have to attend to it. There’s really not a choice; it’s a necessity. You’re very welcome. I’m glad to hear that. Frankly, it had a lot of meaning around here too. Thanks again for nominating me! I wasn’t expecting anything like this and am thrilled that you think my blog is worth this award.